It’s that month… the special month just for moms! Happy Mother’s Day to all you wonderful moms out there. There’s more to May than Mother’s Day! It’s also pregnancy awareness month, and what a better way to kick it off and recognize moms and children than to offer all of you one fabulous giveaway! Many of you might remember a few month back when I did a review for the Diaper & Wipe Dispenser by Bobee, LLC! If not than you should swing by and check out my Diaper & Wipe Dispenser Review. Jenn’s Blah Blah Blog is proud to be supporting 22 Mom Entrepreneurs, they have all come together to offer you some MUST have children’s products… It’s their Pin It To Win It Giveaway and will run from May 22, 2013 until May 31, 2013! It’s not only one of the best giveaways I have been part of, it’s going to be loads of fun too! Here’s how it’s going to work! Ready, Set, GO! 3) verify your pins by providing us with your Products I Like Pinterest Board URL through the easy Rafflecopter entry form. Note: You will not see one link for Jenn’s Blah Blah Blog! WHY? Because I 100% support Mom Entrepreneurs. I ask that you join me in supporting these mom inventors, and SHARE THIS PAGE ON FACEBOOK WITH ME! SUPPORT THESE AWESOME MOMS! One lucky winner will receive all the products they pinned. Good Luck Check out all the items one lucky person will have the opportunity to win! Good Luck Everyone! You’re going to love this fabulous product! All Tivoli Couture stroller liners are designed to provide optimum support for every passenger – proven by the Chiropractor Recommended seal. This accolade marks their ability to offer proper positioning and reduce musculo-skeletal stress. Unlike many stroller lines available today, Tivoli Couture liners offer pure luxury because they’re made from generously thick, high-density memory foam – a material famous for its ability to relieve pressure and help promote circulation. Tivoli’s well-padded memory foam pad cushions the ride; helps absorb shock and can protect little ones from metal protrusions often found in jogging and umbrella-style strollers. The Mommy Genius Drying Rack is the perfect place to dry or display just about anything! It is perfect for drying baby bibs, food storage bags, dish towels, wash cloths, rubber gloves, icing bags, mugs, mittens, and children’s boots. The possibilities are endless. This fabulous product is invented by a mom for moms, and manufactured in the United States of America. I have to say, these moms are full of great ideas… the further I go down on the list the more excited I get.. Many of you Blah Blah readers might remember this awesome products. We did a review on the Bobee, and I have to say... EVERY MOM SHOULD HAVE ONE! The Bobee is an amazing wall-mounted diaper & wipe caddy, Bobee allows for one-handed access so you can keep one hand safely on your baby. The diaper caddy comes white and is customizable with included colorful decals to decorate and match your nursery room decor. Changing table space is freed up for other important baby items, and the diapers and wipes are up and out of the way from curious little hands. The dispenser fits high quantities in all sizes and brands of disposable diapers. Pre-package wet wipes fit neatly below. The Quick Split is a portable food cutter with a cover for baby and toddler feeding, allowing you to instantly cut your kids’ food into safe, bite size pieces when you are out to eat! Easily cuts all your kids’ favorites including pizza, quesadillas, spaghetti, burgers, chicken, hot dogs, pancakes, waffles and more! Snap on the cover (without cleaning off the mess), toss in your diaper bag or purse and throw it in the dishwasher when you get home! Now this is too cute don’t you think…. Check out The Binky Fairy by Thumbuddy To Love! This awesome product is one that helps children wean from Pacifier sucking in a fun and positive way. Each comes with a book, binky fairy puppet and success chart. Works like the tooth fairy but is for pacifier suckers. Thumbuddy To Love makes children’s products to help stop thumb sucking and pacifier sucking. What a fun idea, this is why Jenn’s Blah Blah Blog will always support mommy investors. Nobody knows better than mom does! You’re not going to wan to miss out on pinning this one…. Why? Check it out, if you win and have this pinned to yoru board you will Win a $50 gift certificate to Liv and Lily! 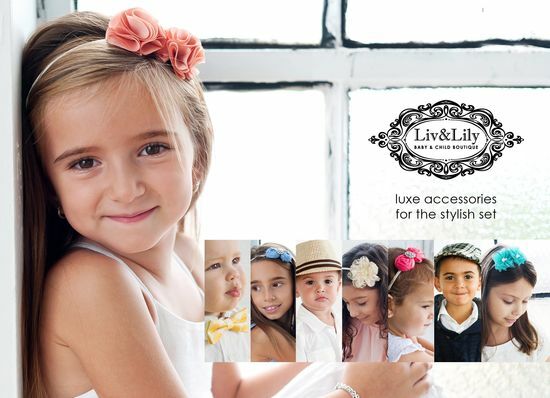 Liv and Lily is a celebrity coveted luxury brand of children’s accessories. Inspired by playful and traditional elements along with style icons, dressing up your children has never been more lavish and luxe. Our handy invention allows one to create limitless fashion trends on flip flips, headbands, belts, pet collars & much more without being permanent! Interchangeable fashion & endless possibilities on your very own budget! Parking lots can be dangerous, even fatal, for children. Protect your little loved ones with a colorful aid that keeps them near to you and far from moving vehicles. Kids love using the Parking Pal, while being taught responsibility in parking lots and around vehicles. I’m sure this has happened to many of you moms out there… Happens with my daughter all the time, she’s tall and super skinny.. I’m glad, the last thing I want is for her to have a big old booty like her mom, lol. One problem, her pants are always too darn long. Iron on pant cuffs that can lengthen and/or add style to your little one’s pants! This fabulous product is invented by two moms. Their goal was to stop fly away umbrellas, and the injuries that can be a result of one of these crazy flying umbrellas. The Noblo is one simple easy to use beach umbrella anchor..
3) relax at the beach. Noblo will take care of your beach umbrella. Another awsome product,t hat is a must have for moms that want to be stylish on the go. The Diaper Clutch is a stylish and convenient way to carry your diapers and wipes! The Diaper Clutch is the very first to feature the easy access window to the wipes…making diaper changing that much easier! The inner pocket has enough room to fit 2-4 diapers…depending on size. Grab it and go for that quick outing or toss it in your diaper bag! Designed around the Huggies Disposable wipes refill pack, the diaper clutch is also compatible with most disposable soft pack wipes with hard top cover. The Diaper Clutch comes in many different stylish prints for both boys and girls. If you’re a mommy you can relate to this I’m sure. STAINS, they’re not fun but are a part of being a mom! 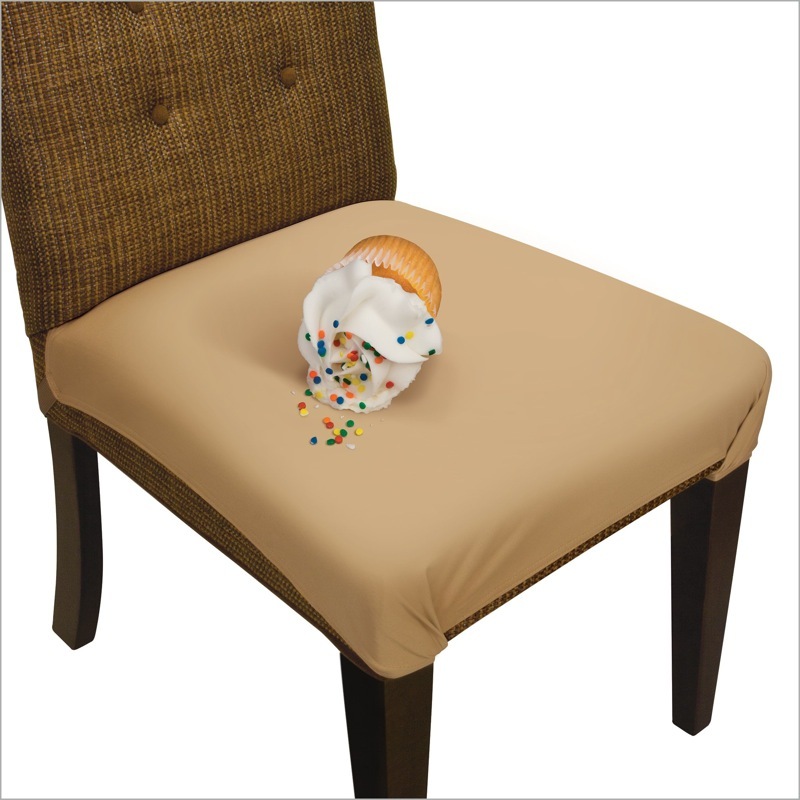 Protect your seats with The SmartSeat is a waterproof, stain resistant, and machine washable seat cover for upholstered dining room and kitchen chairs. It protects like a vinyl seat cover, but is made from a soft and comfortable fabric. Ajustable straps provide for easy on/off and a snug fit on most sizes and styles of chairs. Perfect for young children at the dinner table and under booster seats. Green Glider Mop Pad – A Reusable, Washable and Adjustable mop pad. UPGRADE your Swiffer type mop with the Green Glider Mop Pad. Made with our patented combination of 4 layers of SHAMMY inside to absorb…AND Microfiber outside to clean. Green Glider is better for the Environment than one-use disposable mop pads, is a Top Quality and High Performance product that is Built to Last and Saves Money! Velcro attachment straps make it adjustable and means this mop pad fits the Mop You’ve Already Got! Just because we’re moms doesn’t mean we don’t want to look stylish… Right? I know I still want to look good, and carry something that’s girlie, well thanks to LillyBit we can.. Check it out! The patented LillyBit Uptown Diaper Clutch is the stylish alternative to bulky diaper bags; designed with luxurious details and convenient features that allow modern parents to change baby in a snap! It holds and cleverly conceals essential baby gear – inside a unique tri-fold bag. Easily convert the strap to fit your personal style. Wear over-the-shoulder, as a handbag, wristlets or clutch. The award-winning Today I Ate A Rainbow kit gets kids ASKING to eat their fruits and veggies by turning healthy eating into a fun game! The rainbow kit comes with a magnetic chart, 4 sets of tracking magnets, The Rainbow Bunch book and a money back guarantee! Dribble, meet Le bibble®. 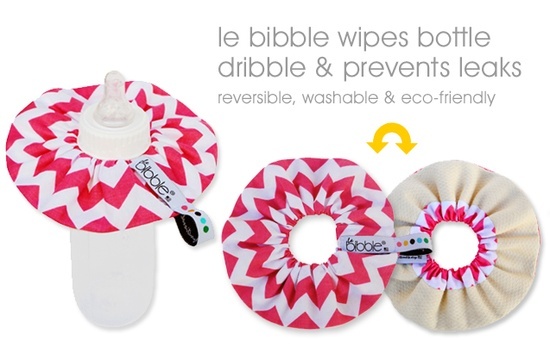 Le bibble® is an organic + designer baby bottle bib that sops up leaks and dribbles – while keeping baby focused on bottle. Available in an array of bright and beautiful prints, each with an organic underlay for wiping dribble, Le bibble® takes bottle feeding to a new level, making being neat chic. USA Made. Our Shabby Chiffon set is our bestselling collection. You can win 1 headband, 1 bracelet, and 1 pair of Tiny Toes barefoot sandals. Your set will be made just for you and your baby, in your favorite colors and in her correct size. The only diaper bag designed to attach to the handle of an infant car seat, stroller and more. For those short trips, when a larger diaper bag is impractical. Holds basic needs of diapering. The trendy Babee Covee offers nine different styles and can be used as: 1) car seat “tent” cover 2) nursing cover 3) shopping cart cover 4) high chair cover 5) stroller cover/blanket and 6) playtime blanket. The patented Baby Dipper bowl has a unique combination of features than enables parents to feed a baby using only one hand and also helps toddlers learn to feed themselves. It has a non-slip base, a triangular shape, and a slanted interior that leads to a spoon-shaped collection corner for easy one-handed food collection. The Baby Dipper bowl is available in Tickled Pink or Bubble Blue and comes with a matching spoon and fork. Don’t forget to like me on Facebook so you can stay up to date with all my fabulous giveaways…. reviews.. parenting tips and all the other fabulous Blah Blah’s that we post daily.. We would love to have you follow along! Remember if you want to win it, you have to Pin It! Step 2: Pin all the images you want to pin by clicking the Pin It button below. The chosen winner will receive the products that they pinned so pinning all 22 products will give you the opportunity to win all 22 prizes. Step 3: Enter via Rafflecopter to finalize your entry – YOU MUST ENTER VIA RAFFLECOPTER to complete your entry. If you have a question or need help contact Tasha Mayberry at tasha@socialmedia2.com. #MonstersUniversity Fun Activity Sheets For You and The Kids! #LovingMomentsBr Win a Complete Nursing Wardrobe & Yeas Supply of Pampers! I can't get the picture to the 9th one to work so it wont let me pin it. Can someone help? Jenn you are the best!! baby Novalee is due in July. We would love to have the items I pinned. there are so many to choose from,. We like to enter the contest for the things we made need so others have a greater chance at winning...Awesome giveaway!! Thanks for your comments Becky. We're excited to hear about baby Novalee. We wish you all the best. You're a great reader and we appreciate you. great stuff - for free - wow this is awesome. Thanks so much for sharing this great giveaway! Thanks so much for sharing this awesome giveaway!!!! So many great prizes - thank you!!! What an awesome giveaway!! I am so entering!!! Thanks for sharing with us!What product could you not live without!?Thanks! OMG ALL OF THEM, THEY ARE ALL SO AMAZING... WHAT AMAZING MOMS RIGHT... MAKING OUR LIFES EASIER HATS OFF TO ALL 22 OF THEM!